Before the Quadangle, there was the STR-1. This dates back to the late 1970â€™s when Stu Thomsen was SE Racingâ€™s National #1 pro and the sportâ€™s first superstar. His signature frame at the time was the Stu Thomsen Replica-1. This STR-1 frame had a unique design with both of the double down tubes wrapping underneath the bottom bracket shell and continuing around the Looptail rear end all the way back to the seat tube. 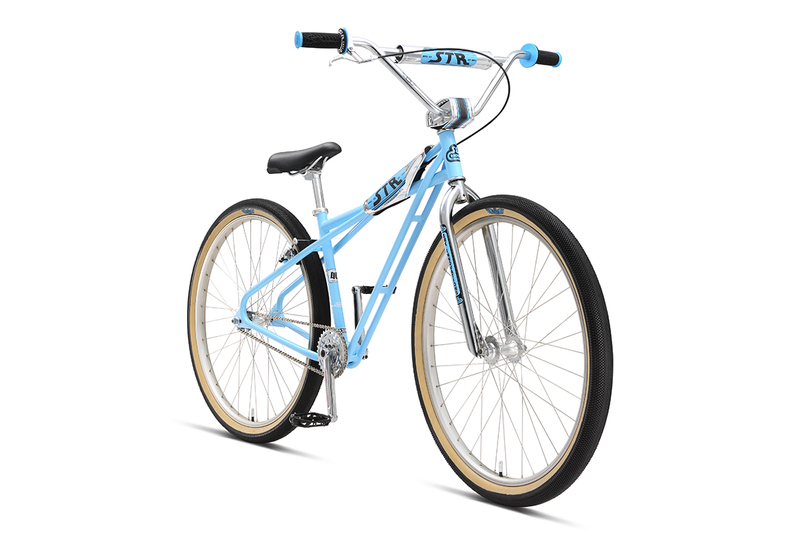 Less than ten STR-1â€™s were ever produced, and over the years these frames became almost mythical and the most sought after frames of all time in the vintage BMX world. Fast forward nearly 40 years to today and SE is proud to bring you, the limited edition STR-29. 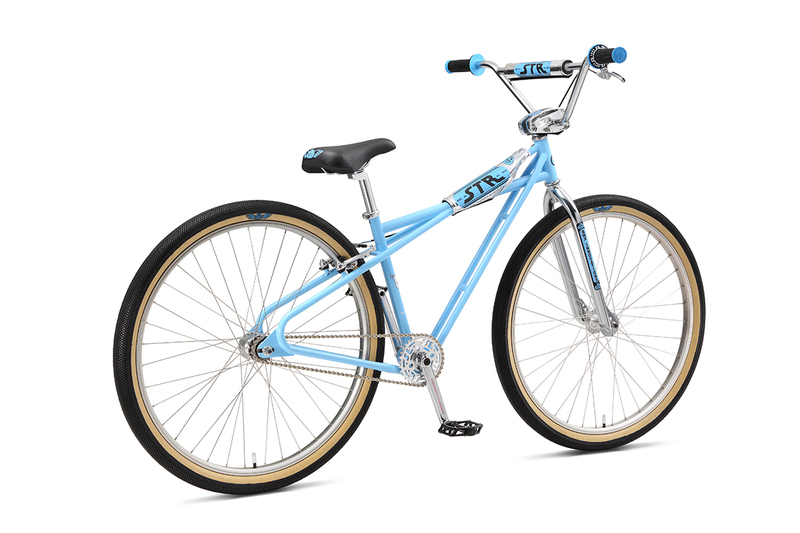 All of the unique features and radness of the original STR-1, but built for the bigger rider with 29â€ wheels. 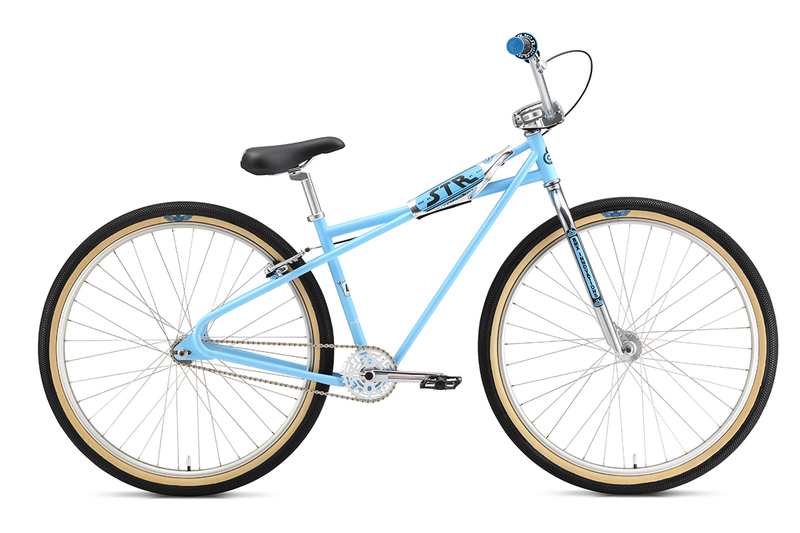 This bike comes with an authentic SE Racing x Stu Thomsen trading card personally signed by Stu. Making history, once again.